Now in trade paperback: ?The definitive guide to musical enjoyment? (Forum). 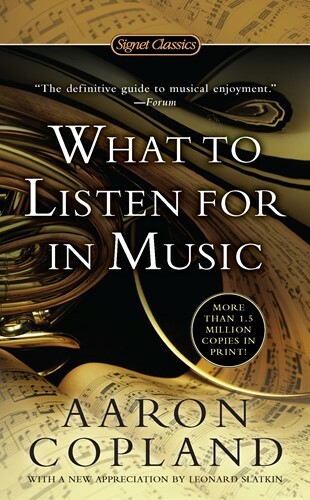 In this fascinating analysis of how to listen to both contemporary and classical music analytically, eminent American composer Aaron Copland offers provocative suggestions that will bring readers a deeper appreciation of the most viscerally rewarding of all art forms.